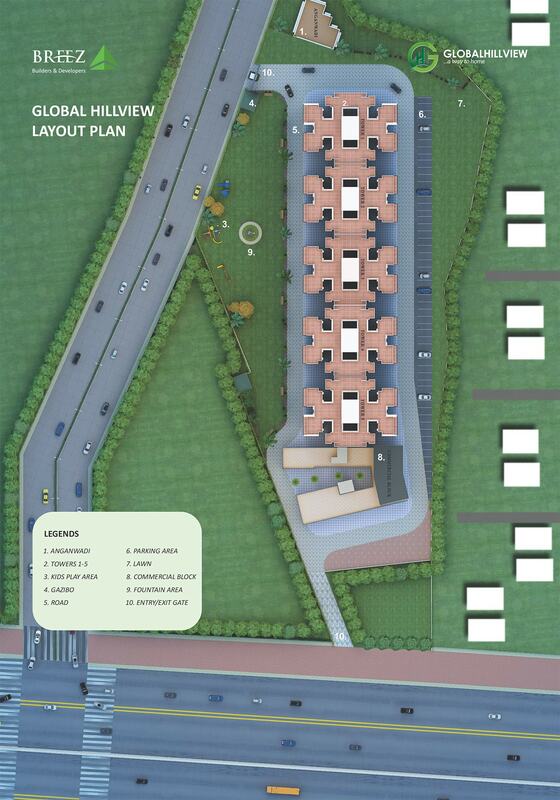 Haryana Government Affordable Scheme brings residential apartments with Breeze Hill View Sohna, South of Gurgaon. It is an affordable housing project to meet the need of affordable houses for those who dream to own their home in the premium location of South Gurgaon. 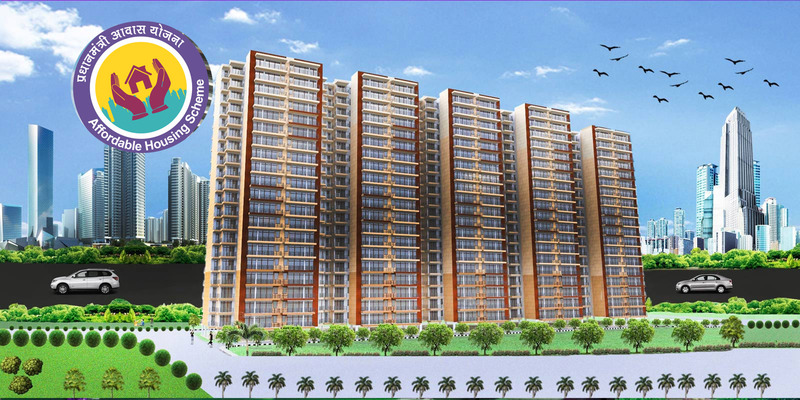 The grand affordable housing project is located in the sector-11, Sohna, Gurgaon. 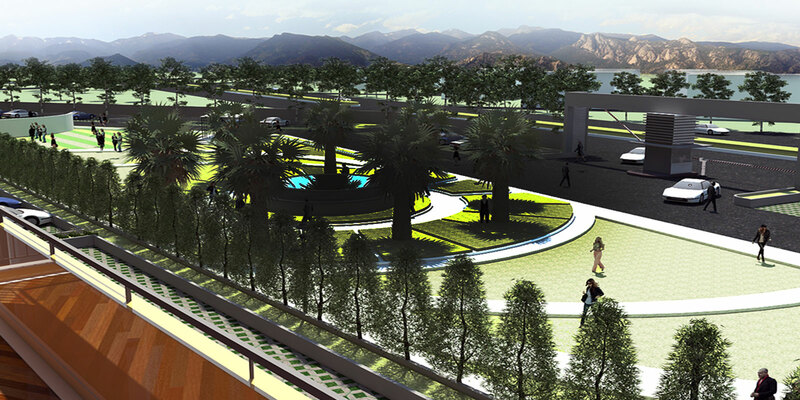 Breez Hill View has been developed as a complete township that includes almost very thing required for your daily life. Multistoried towers with a large number of houses enrich the projects and make it completely liable for those who look to live their life in the heavenly environment. The location of Breez Hill View Sector 11 Gurgaon is unbeatable because of the area developed nearby. The township has been developed in such area which has great things in and around. 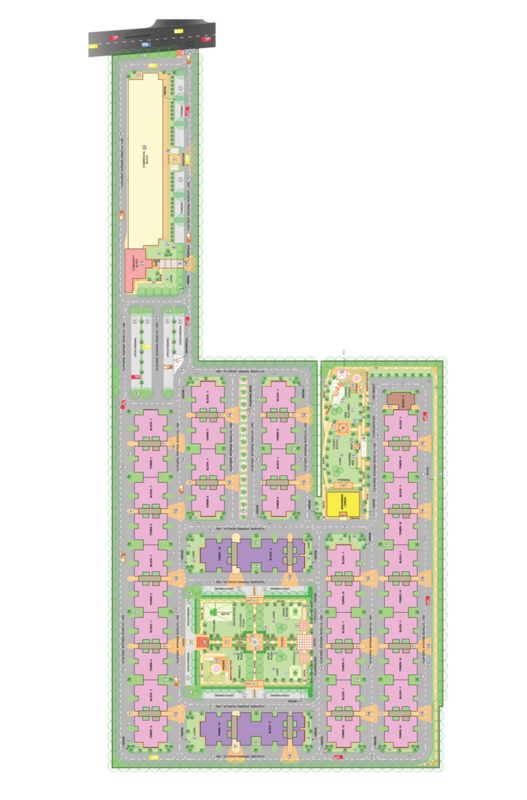 Children schools, parks, shopping areas, swimming pool, and spacious rooms, sufficient open area for parking and lush green landscape are some things that make this project a living place. If you are looking for such an area where you can have the beautiful amalgam of the natural look and modern urbanization, this project will be the right option. There is no reason that can be a drawback of the project. The project does not only offer great home for your family, but also offers a great option of investment for good return of Investment. 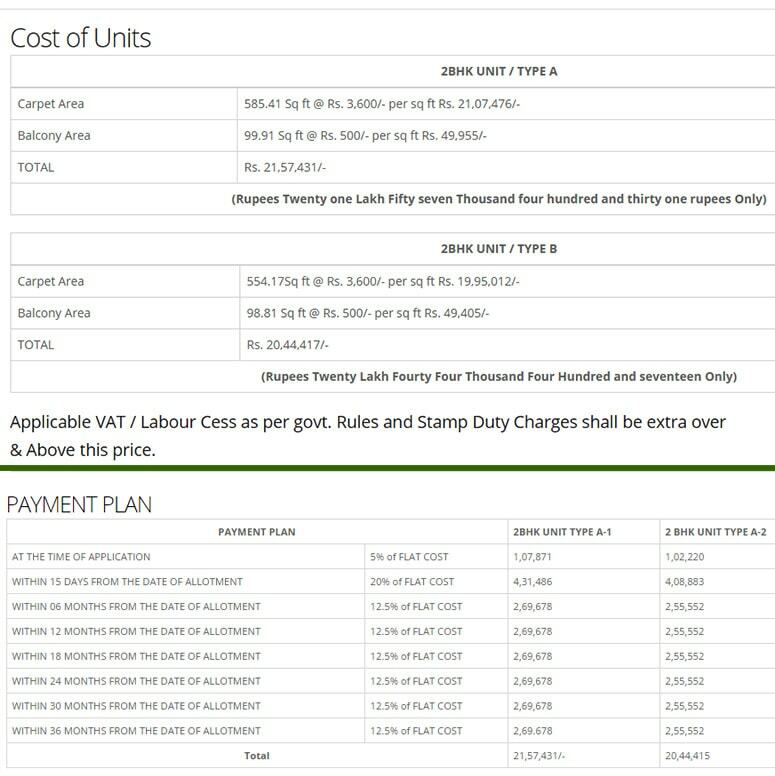 If you look to have good option where you can invest your money, the project will give you certain hike in rates. Because of the projects location and the development, which is raising high, will incase the demand of the residential apartment in this area. People who have great touch with the real estate industry understand the importance of the location and connectivity which this project has. That is why real estate investors have their eye on the projects and look the bright future of the investment which they are investing it this project. Breez Builders & Developers launch Global Hill View Apartments, most affordable housing in Gurgaon Under Huda flat scheme & Pradhan Mantra Awas Yojna. Breez Builders is committed to before time delivery of flats at best prices on Sohna road. 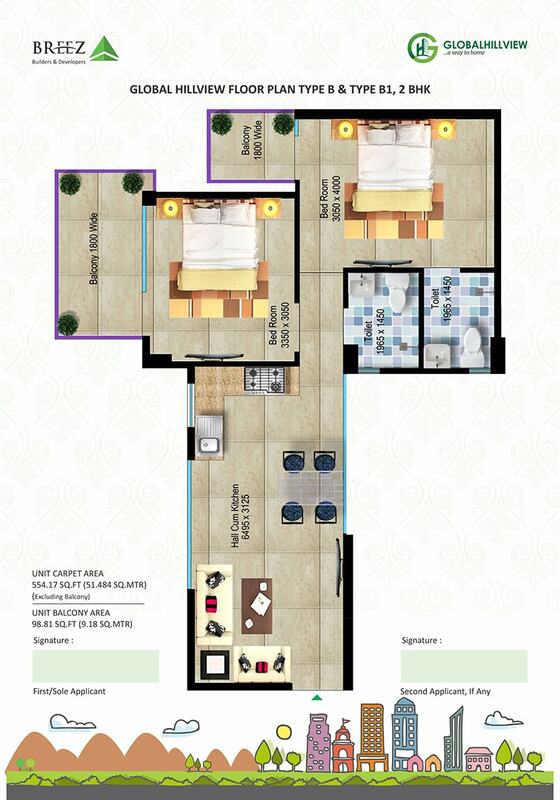 Hill view apartments with modern amenities are the best property in Gurgaon. Hill View apartments offer spacious 2 BHK flats, come with separate balcony, surrounded by hills and is undoubtedly the prime property on Sohna road. 2 BHK flats are available on easy EMI scheme at lowest rate of interest as per fixed government rates under Pradhan Mantri Awas Yojna scheme. 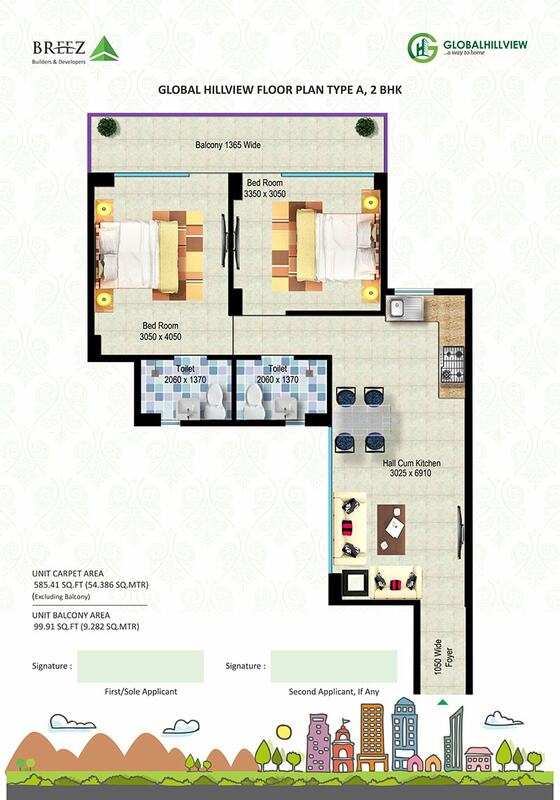 Hill view apartments are best investment property option in Gurgoan.